There's no better way to beat the summer heat than a romp in the water to cool down. Whether its a trip to the beach, a lakeside treat or just a dip in the pool, both humans and their canine companions can enjoy strenuous exercise without over heating. But pet owners should be mindful of the dangers involved in swimming and boating for their four legged friends. Every year over 4000 dogs drown in swimming pools alone. 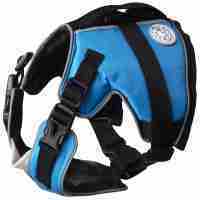 Even the strongest swimmer can become incapacitated in a boating or water skiing accident. 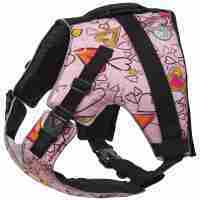 Canine Life Preservers can aid dogs several ways. The buoyancy of a good life jacket can minimize fatigue on extended play sessions, allowing you and your dog to enjoy water activities longer. 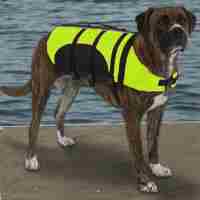 Brightly colored life vests improve the visibility of your dog for boaters, jetskiers and those being towed behind water vehicles. 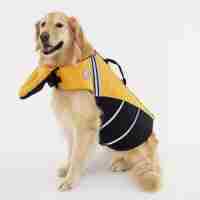 In the case of extreme fatigue, strong currents or a blow to the head, a well made life vest and keep your pet afloat and strong handles can aid you in rescuing him from the water.